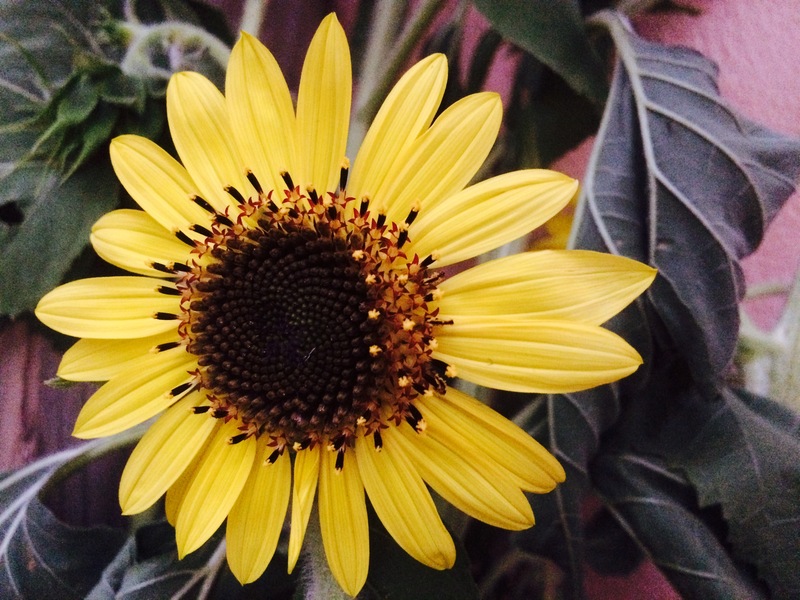 We’ve got some beautiful sunflowers for sale this weekend! It’s been a busy week for a lot of chefs and food lovers with the St. Croix Food and Wine Experience and the Taste winding down. Happily for small farms like ours, the foodie trend over the last decade or longer has been to put local produce on the menu. 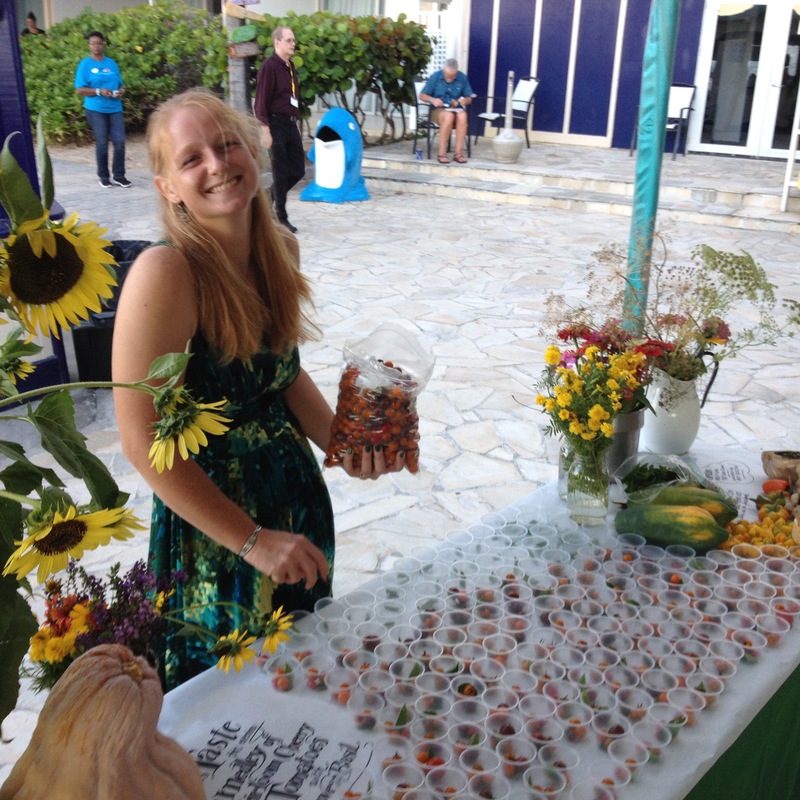 Farmer Katie got dolled up and did a great job setting up our booth on Thursday! Thursday evening marked our 16th year of being a part of the Taste event! Here’s the Saturday morning list: Sweet salad mix, teen arugula, teen spicy mix, onions; cherry, slicer and heirloom tomatoes; lemon basil, holy basil, Italian basil, parsley, garlic chives, bell peppers, hot peppers, seasoning peppers, a few cucumbers, fresh ginger, sweet potato, pumpkin, bunched spicy greens, a few bunches of kale, a few bunches of carrots, and loads of amazing cut flowers including large multi-branched sunflowers! From Fiddlewood Farms we’ve got fresh local goat cheese. Yum!